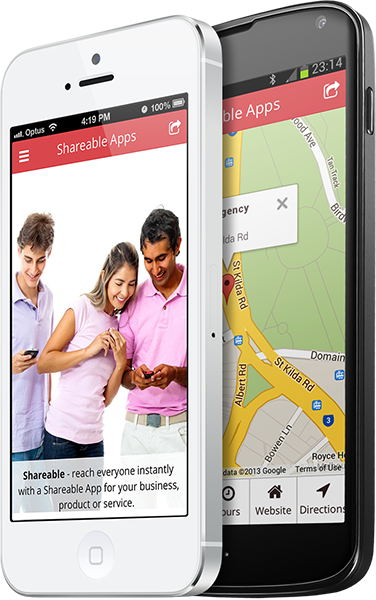 Share your business, products and services with everyone instantly with your own Shareable App. 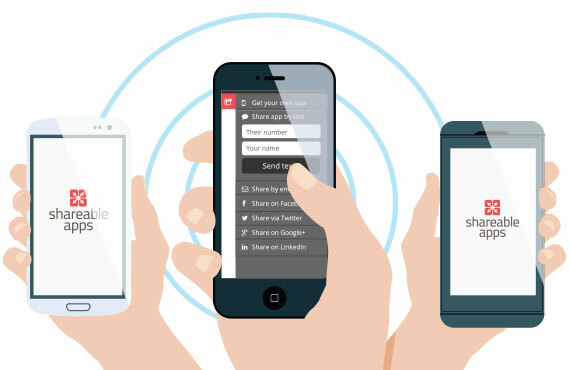 Inside every Shareable App is a share panel, so you can send your app directly from your phone to others. 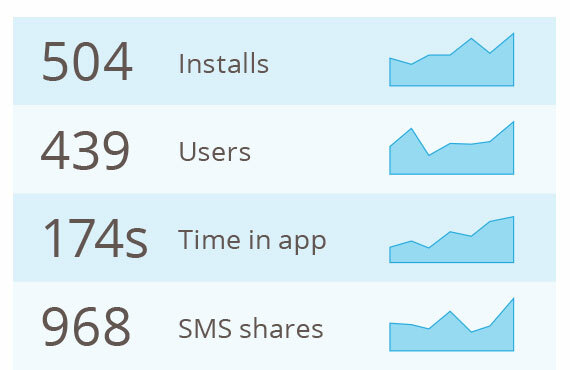 And the great thing is, they can also share your app this way, helping your app go viral! 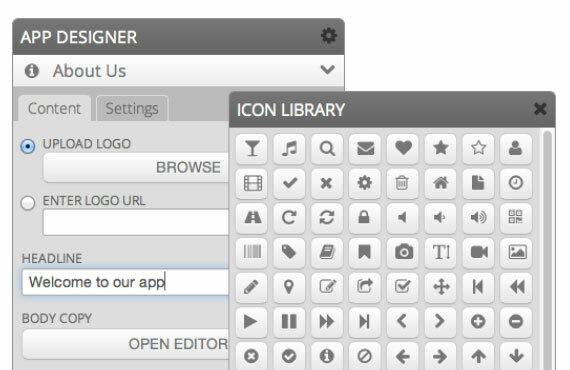 Plus, the Adapptr™ control panel that comes with your app allows you to do bulk sharing to all of your contacts at once. This is why they're called Shareable Apps™! 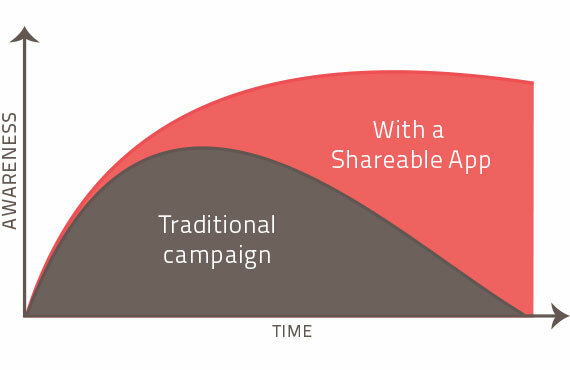 Shareable Apps™ is continually growing, so as new devices come on the market, your app will continue to reach them, helping you maintain effective marketing on mobile in an ever-changing and evolving technology landscape. Your Shareable App can be used to market your products and services, display content, integrate social media, survey your customers, share documents and more. If you need your app to do something specialised, we can help. A range of customisations are available which our experts can help you with. And we will constantly be adding more modules to purchase online to extend the features of your Shareable Apps. Now you can stay in touch with your users and also understand their behaviour, no matter where they are. You are in control. 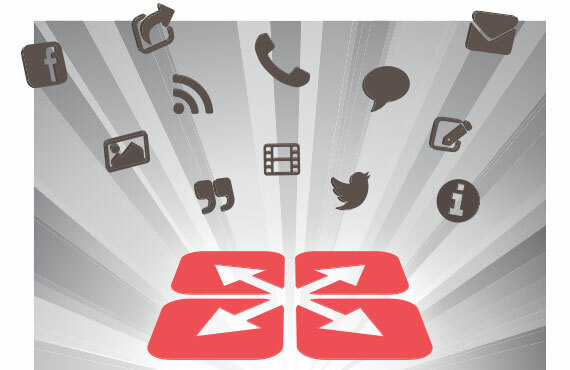 If you have basic web skills, you can make, share and manage your Shareable App. Try it for yourself, or have one of our experts do it for you. Government, major brands, bluechip businesses, financial institutions, health and medical practitioners, charities, SMEs and more use Shareable Apps™, and now the technology is available to you. It's a proven effective way to reach your audiences and achieve your marketing and communication objectives. Created by some of the world's leading experts in their fields, Adapptr™ represents a new paradigm in content delivery and management, harnessing the latest tech and best practices. 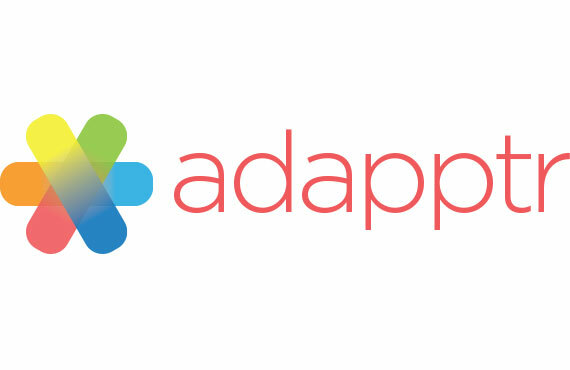 Solving problems and creating opportunities for businesses of all sizes, Adapptr™ adapts to an ever-changing technology landscape. For more information and to find out how Adapptr™ can be expanded to achieve your goals, please contact an Adapptr™ expert. 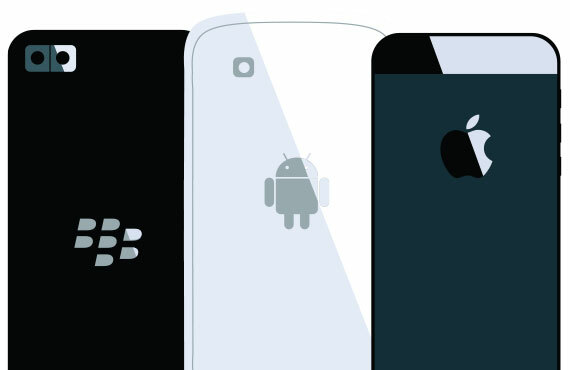 We can also develop a custom Shareable App for your specific needs. *Prices in AUD (excluding GST in Australia).